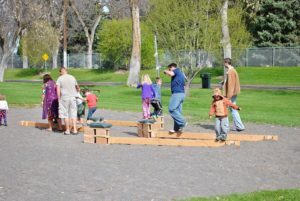 SPENCER — The tiny community of Spencer has been a landmark destination in northeastern Idaho for decades. Home to one of Idaho’s most treasured gems — the Spencer precious opal — the town enjoys a steady stream of visitors that come to the area to dig and hunt for the multicolored gemstones. 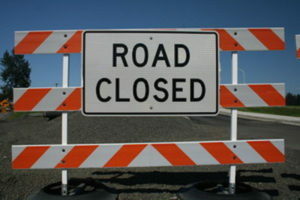 But some things are changing in Spencer, a combination of illness and retirement among several shop and mine owners means several venues could close or decrease hours. Other stores however, report that business remains the same as usual. 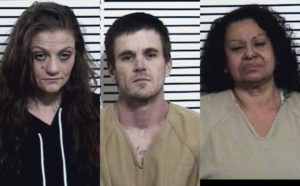 EastIdahoNews.com talked with several shop owners about their businesses and the future of the community. “I really can’t mine anymore, and after 25 years we will be soon be full-time Californians,” Bob Thompson of the Opal Mountain Mine said early in August. “Susan and I sold the mine about two months ago and are discounting our finished stones, trying to sell our inventory as the new owner probably won’t open it. The Thompsons sold their mine to Pete Jeppesen, originally from Idaho Falls, but now of Alaska. Bob and Susan Thompson are retiring after 25 years mining and cutting opal in Spencer. Over the past 25 years, Bob and Susan have had some memorable stones produced from their mine. 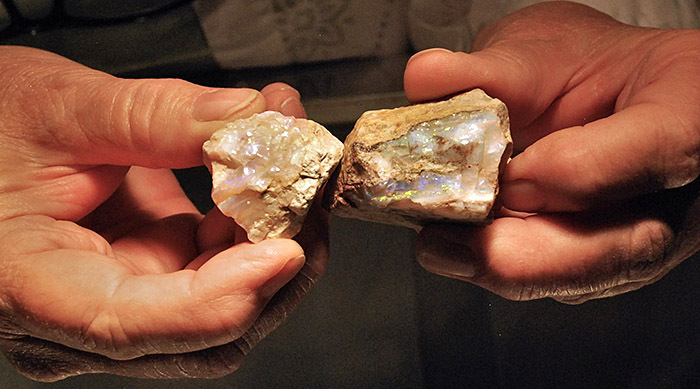 The largest precious opal found by them was rock that weighed about 2 pounds. They still proudly display it. Their largest cut stone, measuring 78 by 58 mm, is in the Smithsonian. One of their specialties is the star opals, which feature three to six rays running from the center to a light on the edge of the gem. 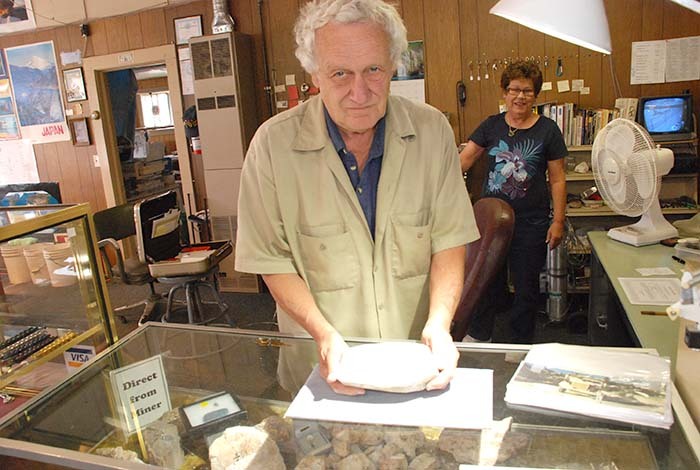 Steve Beard of the Hot Rock Gems shows a nice piece of “ice cream” opal. Hot Rock Gems is owned by Boneta and Brent Sudweeks, but due to health problems, they are helped in their mines and shop by Steve Beard. 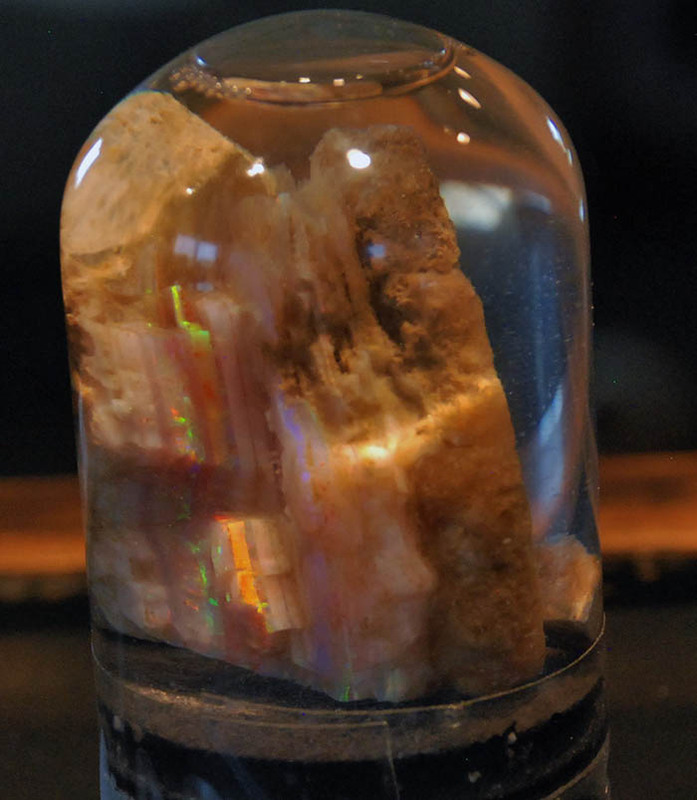 Precious opal is formed in layers and in the rough can be seen readily with the aid of water and sunlight. Precious opal lies in layers and to make the gems, they can be backed with other rock and capped by a clear stone, which creates a “triplet.” The ice cream opal is a common solid opal with less water content in it, allowing the semi-precious gems to be a solid piece. 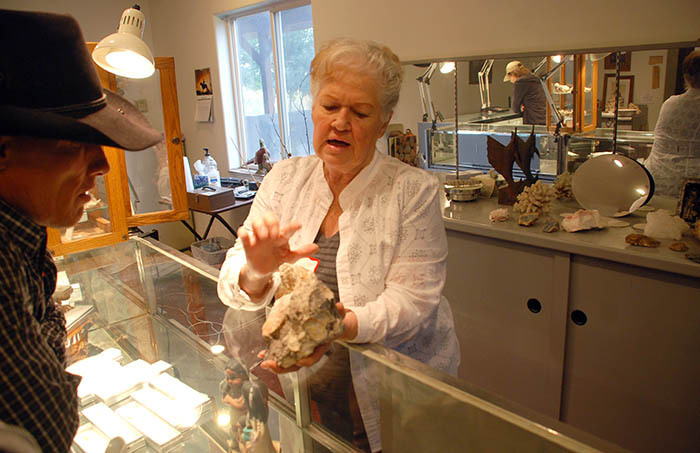 Jackie Hooper of the High Country Opal, Gems and Jewelry store, explains how the precious opal is formed in the rocks near Spencer. At High Country Opal, Gems and Jewelry, Jackie Hooper runs the store by herself since her husband, Dennis, has become ill and cannot work the stones anymore. The Hoopers have bought some material from the Thompsons after he bought the mine from the previous owner. Jackie does most of the work on the stones, but her son, Kraig Smith, builds the sets and sets most of the stones. 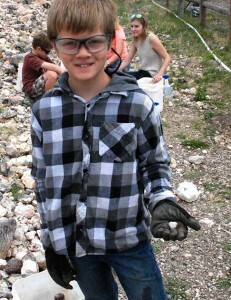 Hayden Pearson of Salt Lake City found his opal at the “mini-mine” and has on the required safety equipment while searching in the rough rock pile. Spencer Opal Mines and Opal Country Café is owned by Claudia and A.J. Couture. It’s the original mine that opened in 1968, and the family says Spencer Opal Mines and Café isn’t changing as at. 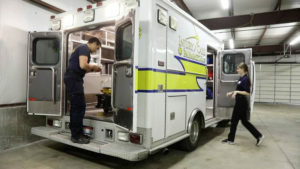 Daughter Erin Mortensen said the mine has been in the family for four generations and her younger children are already making plans to take over the venue. Spencer Opal Mines is unique because it includes a “mini-mine” behind the café where from 10 to 70 “would-be miners” daily search for opal in a pile of rock brought down from the business’s 20-acre mine eight miles east of Spencer. 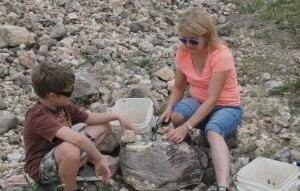 Groups like Boy Scout troops, schools and family reunions often come to search for the opals. The store’s website contains a list the charges and rules for digging there. Jackie Hooper holds rough samples of the rare pink precious opal on the left and the more normal green, blue and red on the right. One thing all of the owners and miners of the precious opal have in common is their keeping the best and unique stones they find. The Thompson’s have their “Bob’s Star” and the 2-pound gem, while Jackie Hooper has her rare pink solid precious opal ring. As the future of the Spencer opal changes, it is unclear what will happen to the shops and mines. Hot Rock Gems and High Country Opal, Gems and Jewelry, are the only two shops that are open year round. Spencer Opal Mines and Café is open full time from Memorial Day through Labor Day with reduced hours during April, May and October, but then closed during the winter months. As the city changes, residents are optimistic new ownership of shops and mines may be a good thing for the community. Whatever happens though, residents are sure the Spencer precious opal will continue to attract tourists and gem hunters for years to come. These finished “triplet” stones are priced by their color, size and clarity.